Most of the settings you'll want to change in Windows 10 Mobile phones are in Settings. Settings is organized into the separate System, Devices, Network & Internet, Personalization, Accounts, Time & language, Ease of Access, Privacy, Update & recovery, and Extras categories. You can click/tap on a category to view and change more settings for that category. 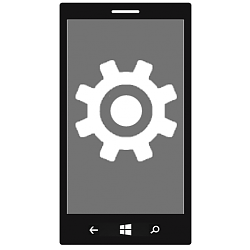 This tutorial will show you how to open Settings in Windows 10 Mobile phones. 1. Do step 2 or step 3 below for how you would like to open Settings. If you do not see Settings like below, then tap on the back arrow button until you do. Settings will open to how it was last closed.